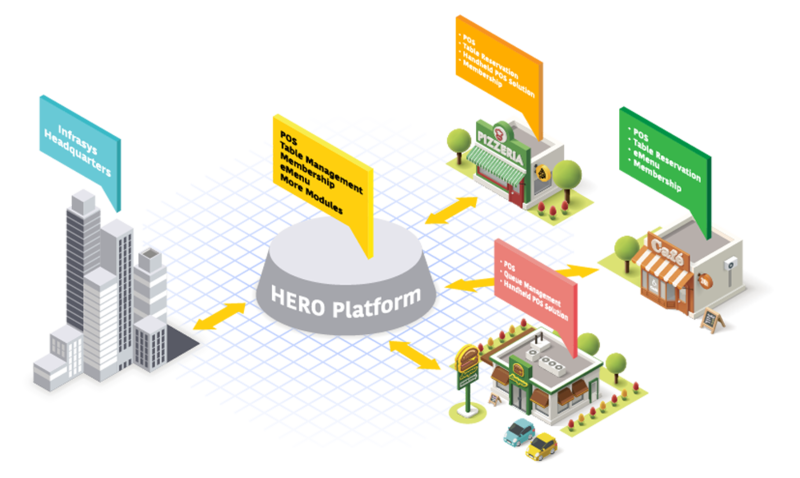 HERO is a one-stop hospitality platform with service-oriented architecture that simple combines POS, reservation, membership and menu on one platform. An extremely agile and scalable platform, it is suitable for single restaurant to international group with many outlets around the world. 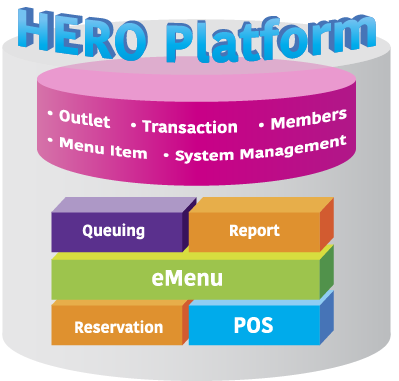 HERO platform centralizes different hospitality modules like POS, menu, reservation. 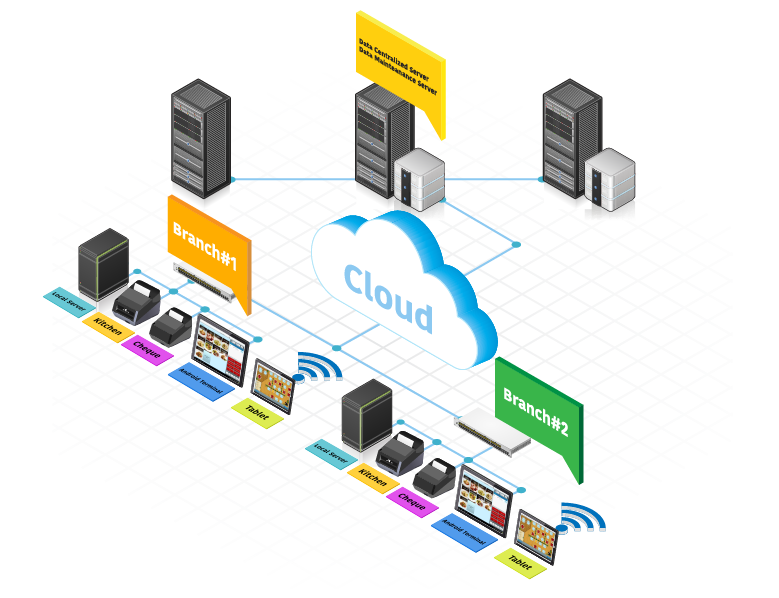 Different modules provide different services. You can install or upgrade any module based on your outlets' needs easily. What's more? It eliminates the integration of systems, streamlines administration work and allows you to manage all outlets simply on one user interface. Data collected by different modules can be maintained in one point, for example, members profiles which no matter collected by reservation, POS or loyalty module will be maintained in single member database. Therefore, a comprehensive customer behavior analysis could be generated for launching the cost-effective marketing activities. 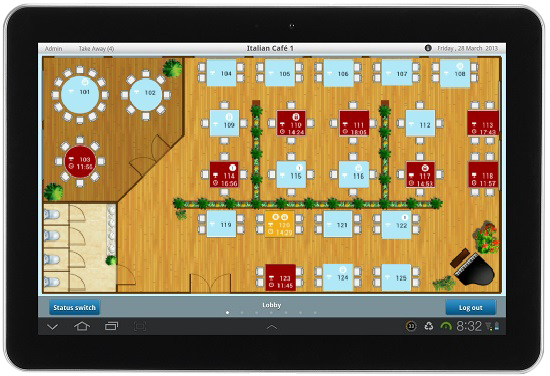 Furthermore, all common data like menu, member profile and floor plan can be shared among different modules , as a result, it reduces data redundancy and maintenance cost. HERO supports space-saving and portable tablet as POS terminal, so you can take and confirm the order next to the guest promptly and conveniently. 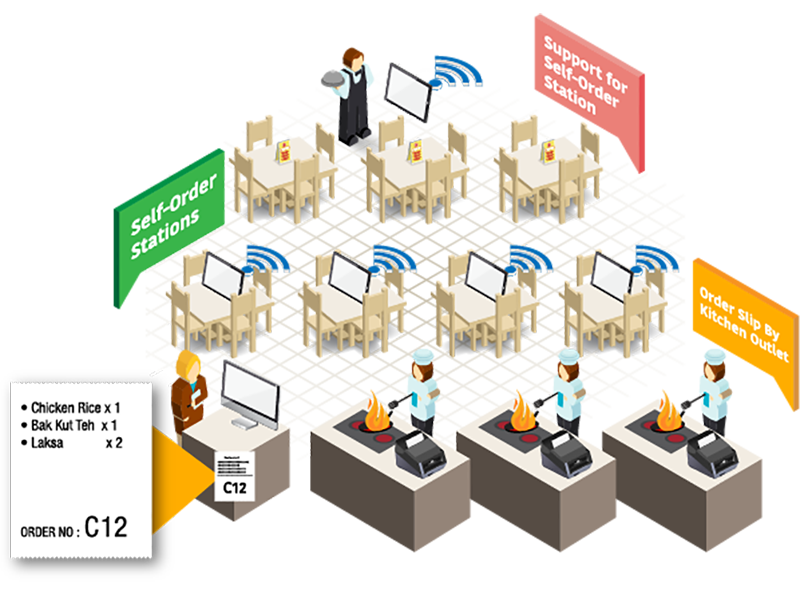 Besides, it is economical and user-friendly, hence your investment cost and training time for staff can be minimized. 1) You can subscribe our HERO cloud solution service and start your business easily with minimized investment cost. For the simplest setup, you only need one tablet as POS terminals and two printers.